To create a movie showing all the different detailed parts, technical aspects and benefits of a new click-on cleaning device. 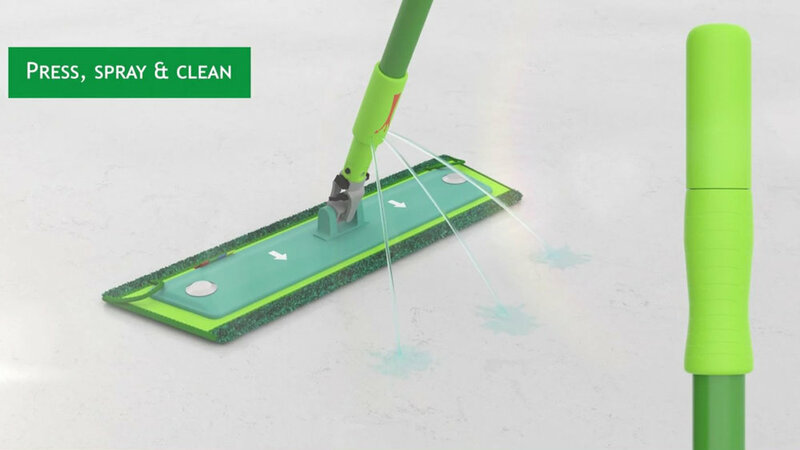 Greenspeed, which is part of the famous cleaning company Boma, asked for our 3D expertise to visualize a new cleaning tool for mopping. We were given a physical prototype to play with, which we fully measured, analysed and transferred into a virtual design so real you could almost touch it. Then we used this 3D model to create an inspiring video, showing all the practicalities of this handy cleaning device.